VIVARAIL is to use Rail Live to showcase its new fast charging system, developed to replenish its battery-powered D-Train. 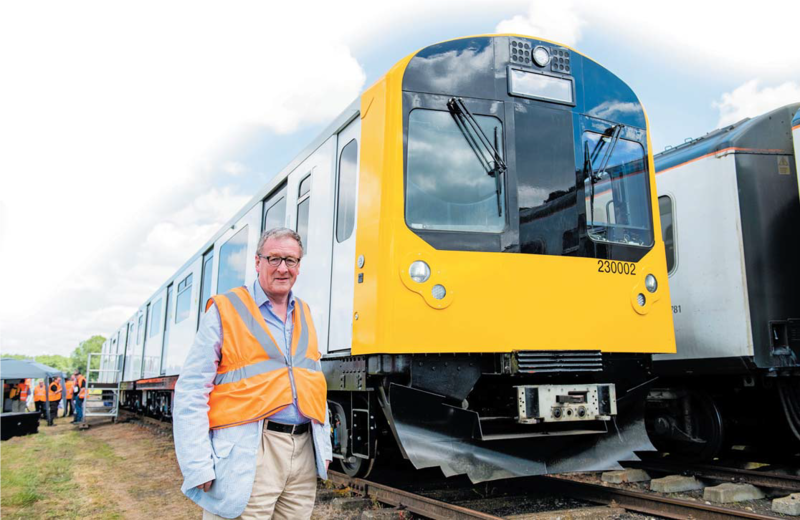 The company says the system can recharge a Class 230 in minutes. “The idea is that charging infrastructure would be placed at termini, and the train would recharge during the turnaround time,” Vivarail’s Head of Marketing Alice Gillman told RAIL. Vivarail’s recharging apparatus includes sections of third and fourth rail, with train-mounted shoe gear made of carbon ceramic in order to withstand the heat generated by a rapid drawing of electric current. As an alternative to the charging apparatus, Vivarail says the battery D-Train could also be recharged from 25 kV overhead wires, assuming the set were to be fitted with a pantograph. Converted from former London Underground ‘D78’ vehicles, the Class 230s are intended as low-cost, low-maintenance rolling stock available in different versions. Three diesel-powered sets are now at Bletchley for Marston Vale Line. Services. Last year’s event included live demonstrations by organisations including the British Transport Police, as well as a direct train to the show from London Paddington. In addition to rolling stock, Rail Live includes displays of a range of plant. Around 6,000 people are expected to visit in 2019.